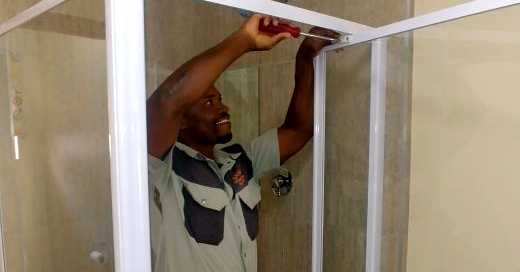 You may have heard that Roof Rats is in the glass business. . .Well, thanks to the skilled workers we have on staff, we can turn that glass into beautiful things like shower doors, screens or frameless glass shower enclosures (BTW, we also have plumbers on staff). 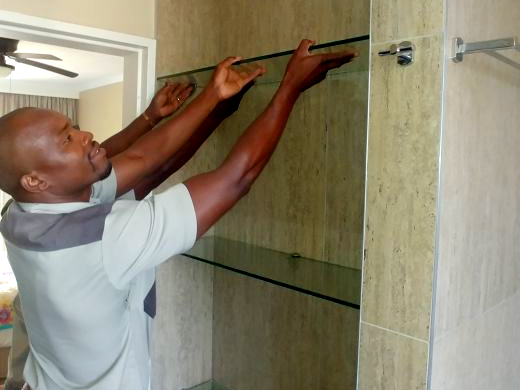 Further upgrade your bathroom with glass shelves and a new mirror. 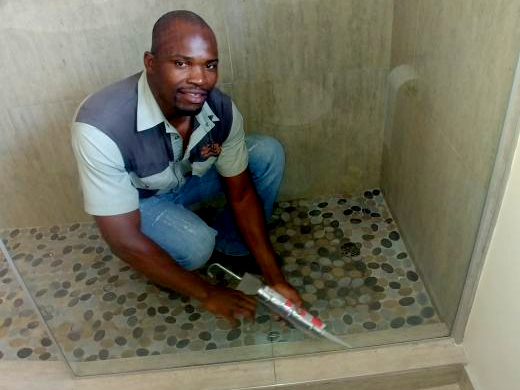 Glass [Shower] Rats is in Kya Sands and serves Johannesburg north from Fourways and Sandton to Blairgowrie, Randburg and beyond. 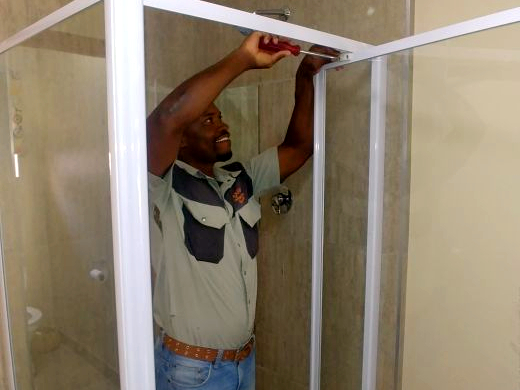 Call or email us for a quote. Love your bathroom again! Roof Rats has more new services (see below). Same Roof Rats quality and professionalism.